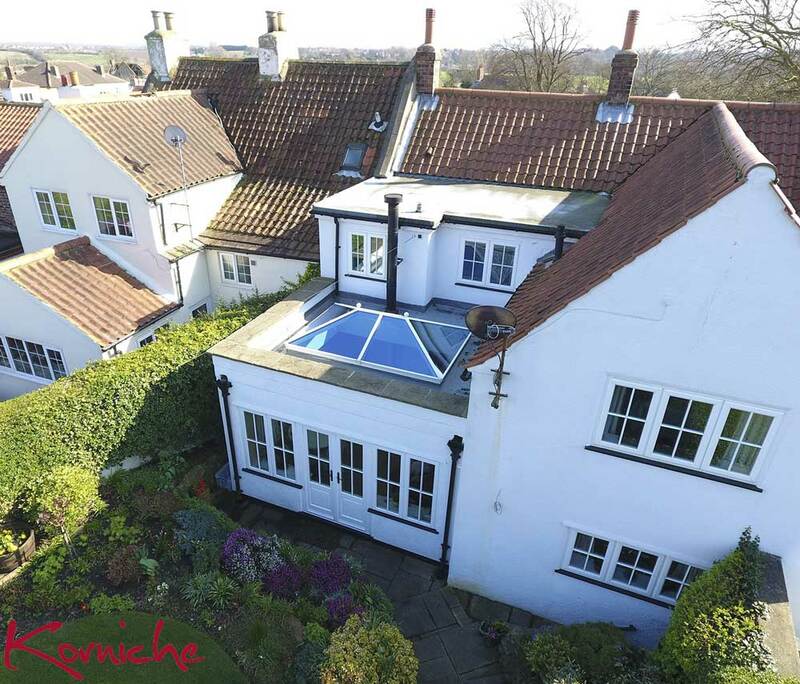 The slimline Korniche roof lantern provides a traditional timber look with all the advantages of a thermally broken aluminium construction. 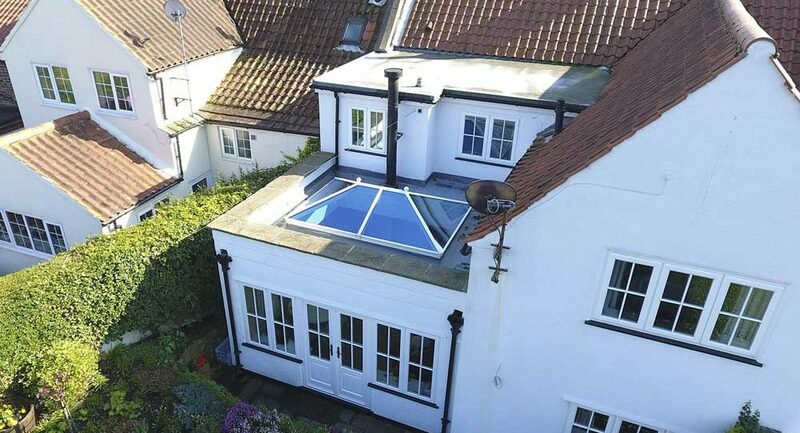 Precision engineering, optimisation and modern manufacturing techniques have created a beautifully proportioned, thermally efficient, strong and secure lantern solution for your home. The slim elegant Korniche fits perfectly in any home by retaining traditional features in a contemporary setting. At only 57mm wide, the spas and ridge sections are amongst the slimmest on the market. Coupled with our sculpted bosses, they provide a look usually associated with timber construction. Narrow yet deep structural profiles with subtle ogee detailing along the lower edges provide a clean classic feel. Fully concealed fixings ensure sight lines flow gracefully and uninterrupted throughout bringing unrivalled elegance and balance. Attention to detail is present throughout, from the engineered structure, the bespoke weather seals, the innovative glass locks all the way to the logo embossed endcaps. Every component used has been developed to work in harmony with the others and enhance the overarching design. Korniche is the best possible finish for your extension. The standard colours are Gloss White, Matt Grey and Matt Black. These can be chosen in any combination of inner and outer. We can also supply your roof in any bespoke colour of your choice. Simply tell us its RAL code. 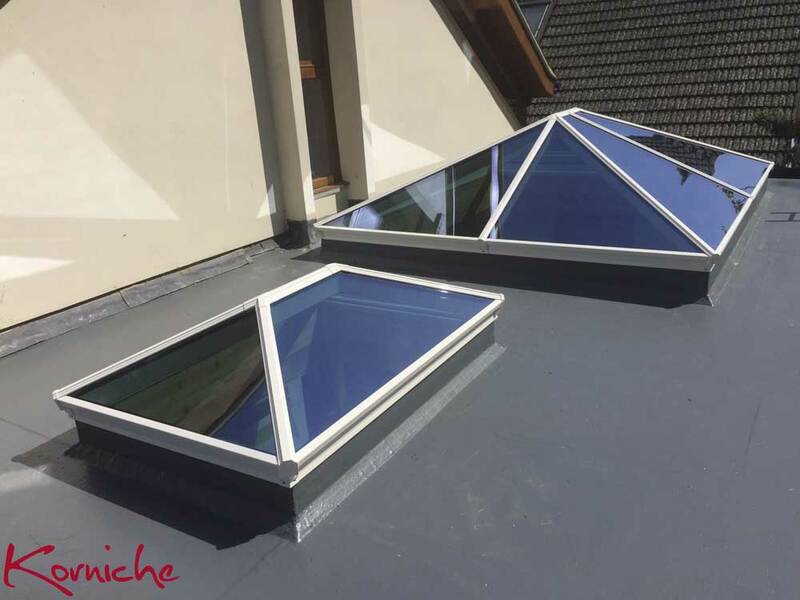 The Korniche roof has been guaranteed by the elimination of cold bridging, achieved by isolating of the external profiles from the internal ones. 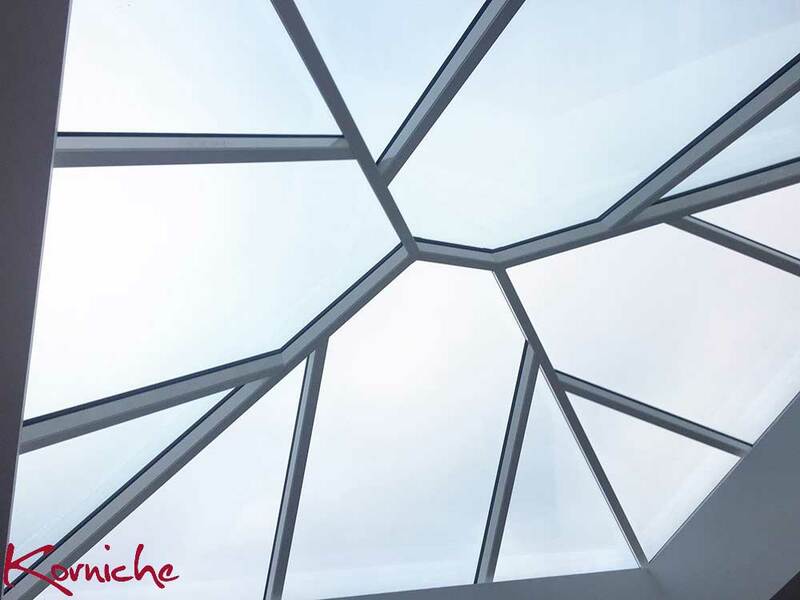 Combined with high performance glazing, the Korniche’s ability to reduce heat transfer is in a class of its own. Thermal efficiency starts at the bottom of our roof. Eaves beams are fully thermally broken to create an insulated barrier between the aluminium sections. The in-house designed high-quality insulating T-bar bridges the gap between the profiles and the aluminium finishing caps to create the largest possible thermal break. 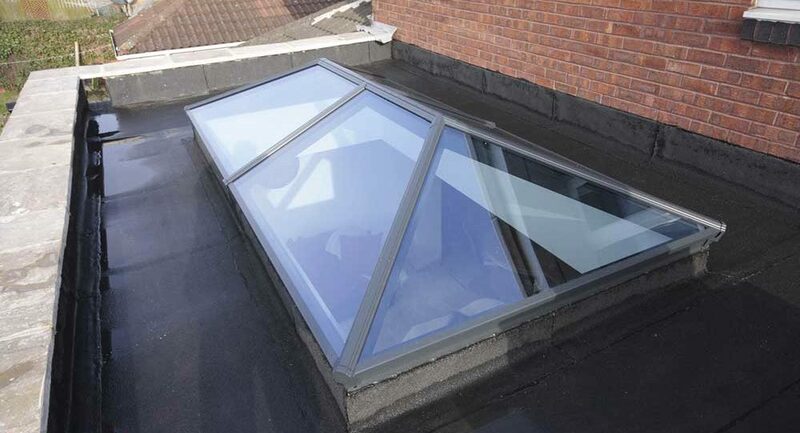 Korniche can be supplied with a range of high performance self-cleaning glass options to suit every taste. To complement your new roof, you can choose from either blue, aqua, bronze, tinted, neutral or clear and with U Values ranging from 1.0 – 1.2. 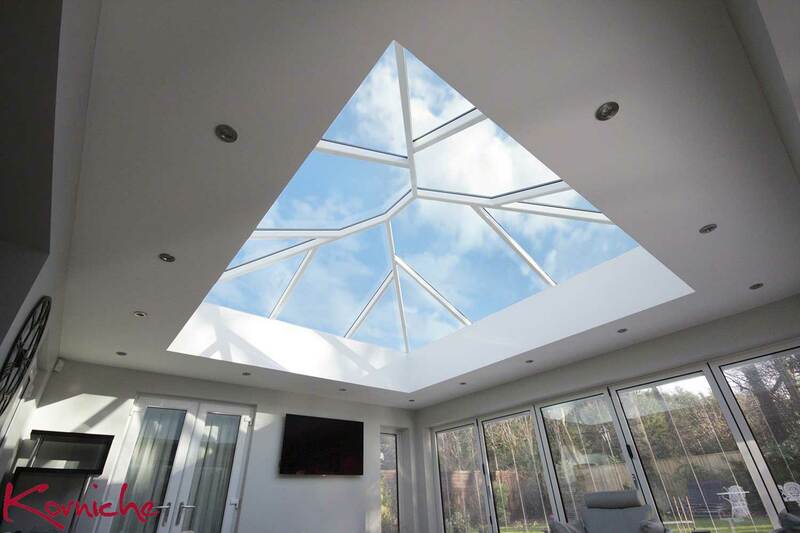 Korniche has been optimised to create the strongest and stiffest roof lantern possible with minimal structure to obscure your view. Unparalleled in strength, the Korniche can survive whatever nature throws at it. 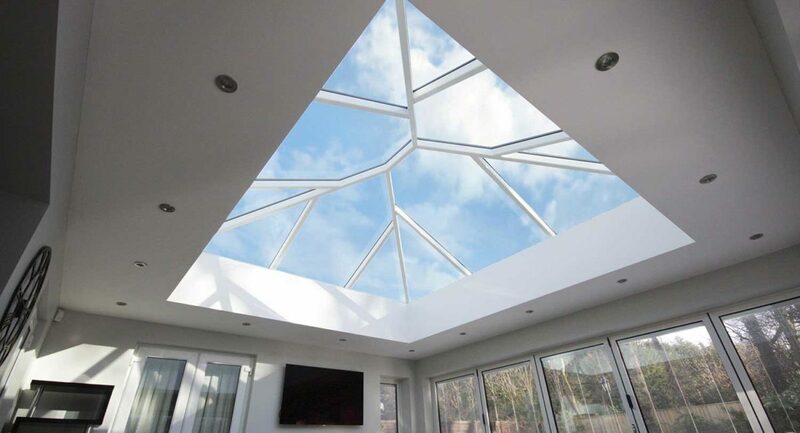 To put into perspective; a 6m x 4m Korniche roof can support over 8 tonnes. 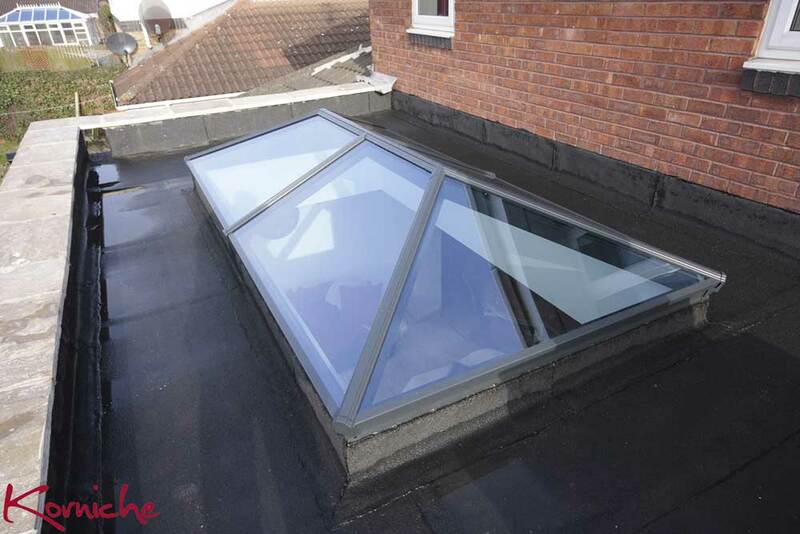 Design optimisation ensures that Korniche has the largest glass spans and fewest rafters currently available from any other system on the market. 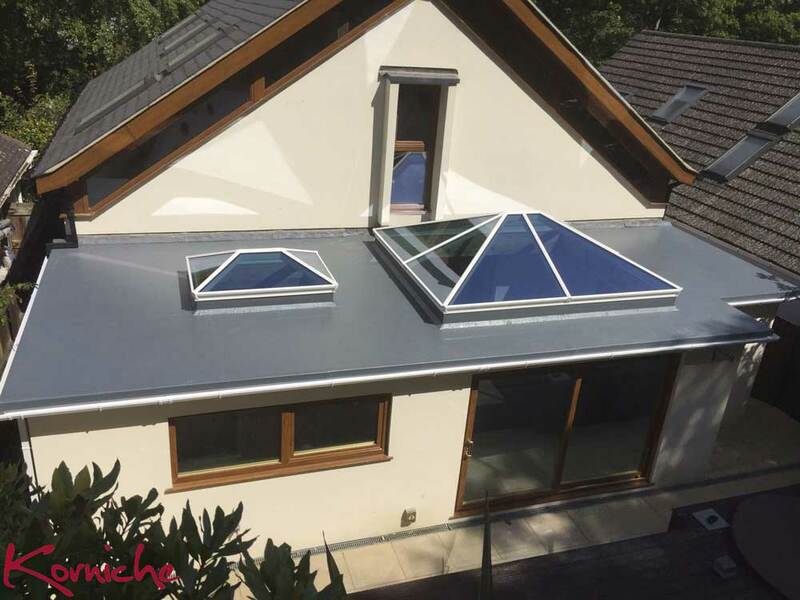 Providing the last word in weather protection, Korniche uses the best seals and gaskets available throughout, ensuring complete peace of mind in the most extreme conditions. 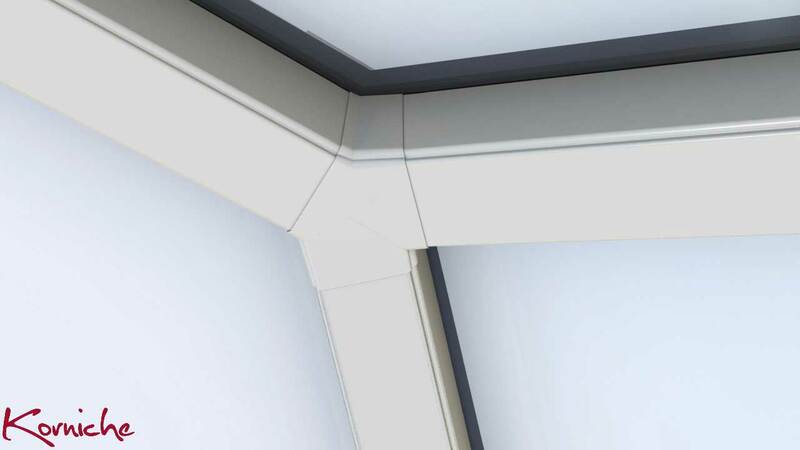 Our innovative glass lock system and tamper proof fasteners keep everything tightly in place and once finishing capping’s are fitted, there are no visible fasteners anywhere to be seen. BBA certification is known in the construction industry as a symbol of quality and reassurance. It can ensure acceptance with specifiers, building control, local authorities and insurers. Working with BBA throughout the design cycle has ensured that the Korniche system exceeds the required specifications.